Sister Síomha turned slowly wondering what Brónach was staring at in such a horror-struck fashion. What she saw made her raise a hand to her mouth as if to suppress a cry of fear. Hanging by one ankle, which was secured to the rope on which the pail was usually suspended, was a naked female body. It was still glistening white from its immersion in the icy water of the deep well. The body was hanging head downwards so that the upper part of the torso, the head and shoulders, were beyond their view being hidden in the well-head. Sister Síomha moved to the well-head and peered down, hands reaching forward to swing the body out of the well. Then, with a sharp cry which she could not stifle, she turned away, her face becoming a mask of shocked surprise. Curious, Sister Brónach moved forward and peered into the well-head. In the semi-gloom of the well she saw that where the head of the body should have been was nothing. The body had been decapitated. What remained of the neck and shoulders were stained dark with blood. In the Abbey of the Salmon of the Three Wells, the naked and mutilated corpse of a young woman is discovered in one of the wells. She had been whipped, her head had been hacked off – so there was no means of identifying her – and tied to her left arm was a stick of aspen wood on which Ogham characters had been carved. The Ogham read: “Bury her well. 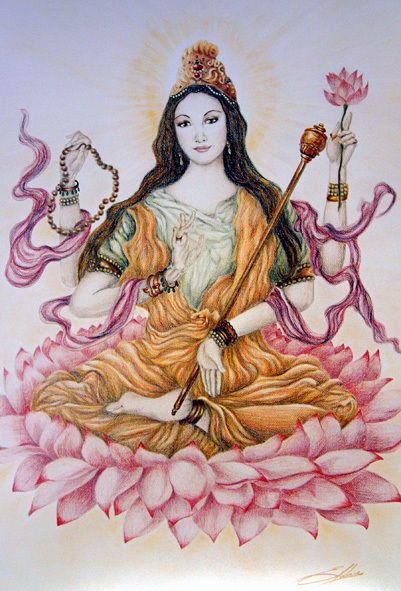 The Mórrigú has awakened!” In her other hand, by contrast, she still clasped a copper crucifix. A great mystery, and Fidelma is sent to try to solve it. She travels by ship, for the abbey is on the coast, and as they are nearing their destination they sight a French merchant vessel heading erratically towards some submerged rocks. Ross, the captain of Fidelma’s ship, investigates. It turns out that the French ship has been abandoned. Apart from a few traces of blood, there is no sign of either crew or passengers, or of cargo. But then Fidelma finds a Missal she recognises. She had given it to her friend Brother Eadulf when she parted from him in Rome. How had it come to be here? Yet another mystery – and now Fidelma has a personal interest in solving it. Those of us who have read later stories in the series will by now be completely hooked, for we already know that Eadulf is fated to become Fidelma’s “Watson”. Will it happen here, in this book, we wonder – our sympathies all with Eadulf, for Fidelma can be quite as clever, as arrogant and as sarcastic as Sherlock Holmes ever was. As always with this series, then: highly recommended. All good novels describe and recount what actually happened in some alternative universe. It is not, by definition, this universe. If it was, it would not be a novel. In a Historical Note at the beginning of Suffer the Little Children (the third in this series), Peter Tremayne writes “Fidelma was born at Cashel, capital of the Kingdom of Muman (Munster) in southwest Ireland, in AD 636. She was the youngest daughter of Failbe Fland, the king, who died the year after her birth … etc.” Not in this universe. And (just one example of many, many): “The Irish laws gave more rights and protection to women than any other western law code at that time or since.” Not in this universe. Tremayne has created a wonderful – and I do mean wonderful – alternative universe and a wonderful character – person – in Sister Fidelma. Let’s forget all this nonsense about whether or not it is historically true (of this universe!) and, as Tremayne himself puts it, “enter Fidelma’s world” and enjoy it. For it is one of the best and most appealing alternatives to our own medieval history I have ever come across. A world in which I would love to have lived. A woman I would love to have known. 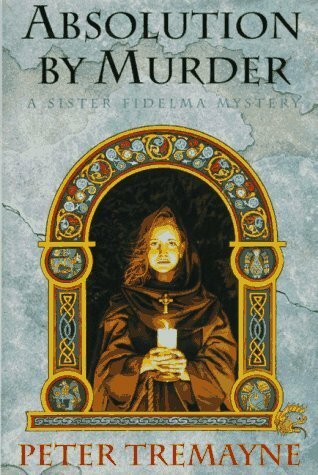 All that said, let’s get down to what actually happens in Absolution by Murder, the very first “Celtic Mystery” featuring Fidelma of Cashel. The setting of this book (and indeed of the second book in the series, Shroud for the Archbishop) is not in Ireland at all. 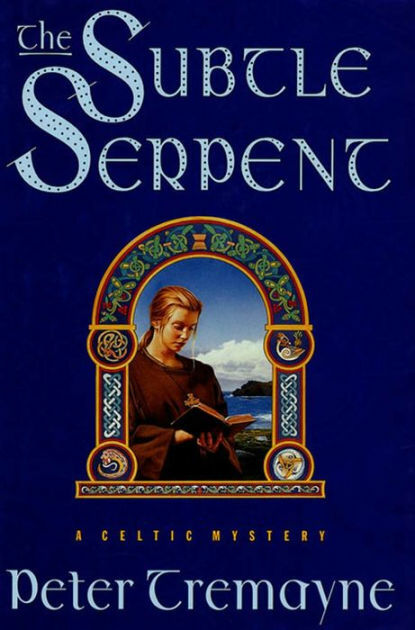 This one is set in Northumbria, an Anglian Kingdom in the north of what is now England, during the course of the Synod of Whitby, the famous (or infamous, depending on your viewpoint) Church Council that took place in AD 664 under the auspices of King Oswy and his cousin Hilda, Abbess of the great monastery which hosted the representatives who came from far and wide to attend the debates that would decide the future of the Church in Britain. The Angles and Saxons had arrived in Britain as pagans, worshipping the ancient gods of the north, and were still in the process of being converted to Christianity. It was largely a matter of converting the kings and queens; the rest of the population of the various little kingdoms followed suit and did what they were told (or at least pretended to). Now the problem was that missionaries were coming into the various English kingdoms from the Celtic Church of Ireland and Scotland (though not from Wales, the people there still felt too much hostility towards the invaders), and from the Roman Church across the Channel in France and in Italy. And those two sets of missionaries representing two separate branches of Christianity held quite different beliefs on a number of points, some trivial, others more important. One was the date of Easter, which the Celtic Church calculated by the same method as the Eastern Orthodox Church: half the population ended the fast for Lent and celebrated the Feast of Easter one, two, or even sometimes four weeks before the other half. Another was the celibacy of the clergy: Celtic priests were permitted to marry, and Celtic monks and nuns to co-habit. Another was the role of the bishop. The Celtic Church was ruled by its great abbots and abbesses, the Roman Church by its bishops. Another was the form of the tonsure. And so on. At this council, King Oswy of Nirthumbria, effective High King of England, and his councillors, would decide for cthe country as a whole: the Celtic way, or the Roman way. Needless to say, top people of both persuasions were there, feelings were running high, and as always when there are religious disputes, unscrupulous politicians take advantage of it in their jostling for power. In this case, civil war could easily erupt, and Oswy’s brutal son Ahlfrithis ready to use the Roman cause in a bid to oust his father from power should the Celtic Church win. Then Abbess Etain, chief speaker for the Celtic Church, is murdered. Naturally, everyone assumes she has been killed by someone in the Roman contingent in order to silence her. King Oswy asks Fidelma, an Irish princess and religious, and a highly qualified lawyer, to investigate, along with the Saxon Brother Eadulf to ensure fair play. Next, the Archbishop of Canterbury, Deusdedit, leading the Roman delegation, is found dead. It seems he died of the “Yellow Plague”, but will anyone believe this? If you, like me, have already read later Fidelma books, and know that she and Eadulf subsequently marry, this does not spoil at all the pleasure of watching their interplay here at their first meeting. In fact the knowledge adds a certain piquancy to everything they say and do together. If you are already a fan of the later Fidelma books but have not read this one, do go back and start again. If not – start here: you will want to read them all. 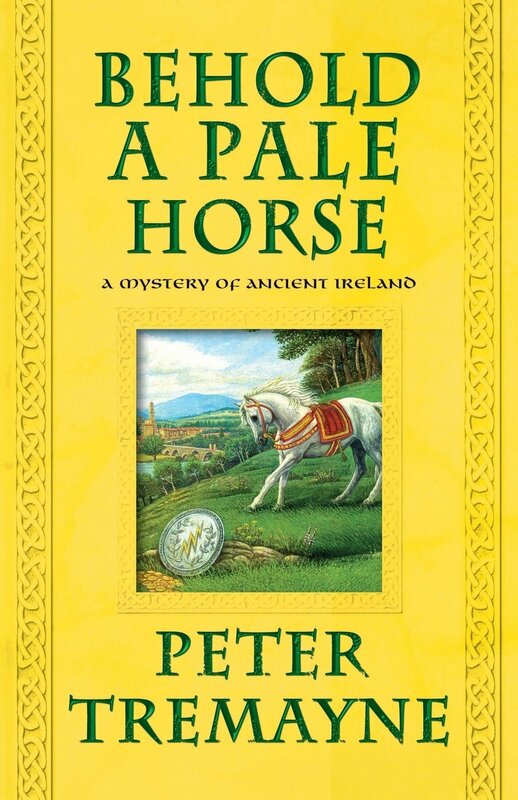 Another story set in Peter Tremayne’s strange 7th-century Ireland, a free, democratic and egalitarian society where kings are elected, there is complete equality between men and women, slavery is unheard of, and everyone has a hot bath every evening. Actually, this story is set in Italy, not Ireland, but Fidelma keeps making invidious comparisons, so neither we nor anyone else around her is allowed for one moment to forget that Italy is a very backward and primitive place compared with the south-east of Ireland. I am beginning to wonder whether not just fictional characters but you and I – “real” people in the “real” world – have different pasts, different histories; whether we in fact inhabit different worlds. I am an only child, but I have friends who assure me their childhood memories are different from those of their siblings – and as regards certain important incidents, totally different. My own memories do not altogether coincide with those of my mother and grandmother. OK. But, when I sit down with old school friends to chat and reminisce over a drink, it amazes me to find that our memories often differ diametrically. So why should I be surprised that Peter Tremayne’s idea of 7th-century Ireland is so different from mine? Perhaps we both lived previous lives in early medieval Ireland – but a different early medieval Ireland, in what were obviously different worlds, different universes. I am not carping. I love Tremayne’s Ireland – and Europe – and I adore Fidelma. She is everything I would wish to be if I were fortunate enough to live a life in that Ireland at that time. After being caught in a storm, the ship she is on puts in at Genua (sic) for urgent repairs. While waiting for another ship to come along on which she might take passage, she learns that her one-time teacher, Brother Ruadan, now an old man, is at the Abbey of Bobium. He has apparently been set upon by robbers and is not expected to live more than a few days. Naturally, she hastens there to bring him comfort, only to find that it was not robbers at all. He was beaten up and left for dead because he got wind of some kind of conspiracy centred in the Abbey itself. Apart from him, at least one person has already been killed, and others will follow as Fidelma begins asking questions and the conspirators start to panic. Various monks keep taking her aside and telling her she is in danger, she should leave now, immediately, but that of course only makes her more determined than ever to stay and solve the mystery. As does being abducted and taken to the lair of a mountain war-lord whose varied sources of income include selling young females who fall into his hands to slavers! Would Fidelma ever see Ireland – or even Italy! – again? A good story, one of Tremayne’s best, replete as always with distinctive characters, and his handling of the return to the young and less self-confident Fidelma is flawless.